This is a valve that recirculates part of your engine’s exhaust gases back to the cylinders. One of the first signs that your EGR may have a clog is your vehicle will have a loss of acceleration and / or power. It will be less fuel efficient. 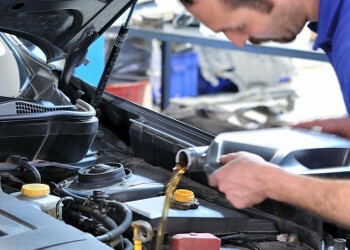 Your vehicle will also be running rough as it sits idle. There are two basic ways this valve can malfunction: It can either stay open or closed. Come in today and will put your vehicle through some tests and if needed we will replace your EGR valve. Your vehicle will be once again running GREAT in no time.